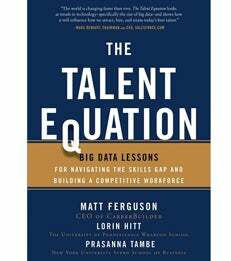 In The Talent Equation: Big Data Lessons for Navigating the Skills Gap and Building a Competitive Workforce, Professor Prasanna Tambe and his co-authors, Matt Ferguson of CareerBuilder and Lorin Hitt at University of Pennsylvania, explore the potential for big data to transform human resources and investigate some of the most important issues affecting the labor market and workforce management today. They commissioned a landmark big data study of more than 2,700 employers and 33 million resumes to find the relationship between market performance, education attainment, and employee tenure. The findings are enlightening–and quite surprising. Prasanna Tambe is an Assistant Professor of Information, Operations and Management Sciences.